In its simplest terms, occupational therapists and occupational therapy assistants help people of all ages participate in the things they want and need to do through the therapeutic use of everyday activities (occupations). Unlike other professions, occupational therapy helps people function in all of their environments (e.g., home, work, school, community) and addresses the physical, psychological, and cognitive aspects of their well-being through engagement in occupation. an outcomes evaluation to ensure that the goals are being met and/or to modify the intervention plan based on the patient’s needs and skills. 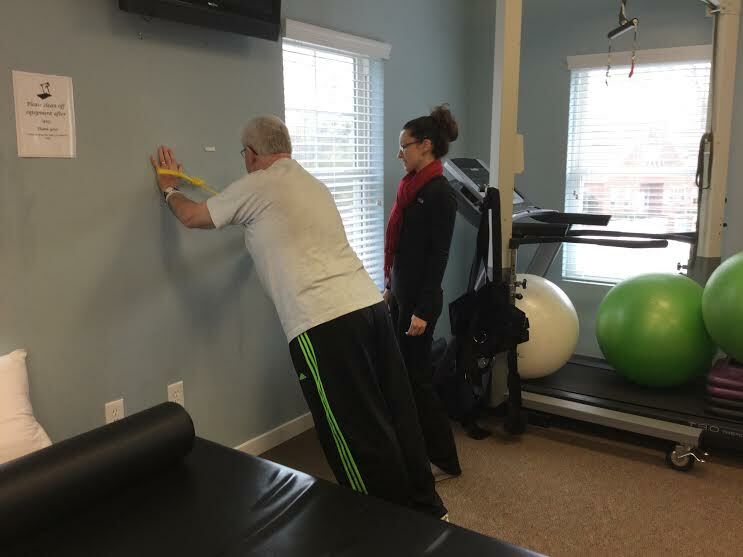 Occupational therapy services may include comprehensive evaluations of the client’s home and other environments, recommendations for adaptive equipment and training in its use, training in how to modify a task or activity to facilitate participation, and guidance and education for family members and caregivers. Entry-level practice requires a master’s degree for occupational therapists and an associate’s degree for occupational therapy assistants (who must be supervised by an OT). Occupational therapy can help people with Parkinson's disease stay active in daily life. By improving your skills, showing you different ways to complete tasks, or introducing you to handy equipment, an occupational therapist can help you perform everyday activities with greater ease and satisfaction. An occupational therapist may also recommend making changes to your home or workplace to promote your independence. How Can Occupational Therapy Help Parkinson's Disease? Help the patient develop a daily activity program with periods for ADL, IADL, exercise, leisure and rest that coincide with medication "on" and "off" times. Train the patient in specific tasks within the context in which they will be performed. Teach the biomechanical features of an action, such as donning a shirt. Have the patient practice the task moving from blocked to random practice to improve performance. Move from giving the patient frequent to delayed feedback on the task performance. Gradually withdraw feedback as the patient's skills develop. Use visual cueing techniques such as a mirror, lines on floor, etc. Avoid having the patient perform dual tasks such as walking and carrying a tray in a cafeteria. Use auditory cueing techniques such as having the patient perform an activity to music, by counting or by using a metronome. Use attentional strategies. Have the patient mentally rehearse the sequence of actions in a serial task such as making a sandwich. Use visualization techniques for freezing (imagine stepping over a line or a log). Use visualization techniques to practice both the task and its movement sequences. Teach patients strategies to compensate for memory loss and other cognitive deficits. Institute a stretching program for flexibility. Help the patient structure his environment to increase motor performance and safety, such as rearranging furniture, using markers on the floor, etc. Assess patients for adaptive devices, such as shower chairs and 3-in-1 bedside commodes. Instruct patients in motion economy, energy conservation and time management. Refer patients to PD community support and exercise groups.